Skincare is something that I've never really touched on here on Chapters of Kat before, mainly because I don't know all the technical terms behind the products and don't want to look like a total plank. 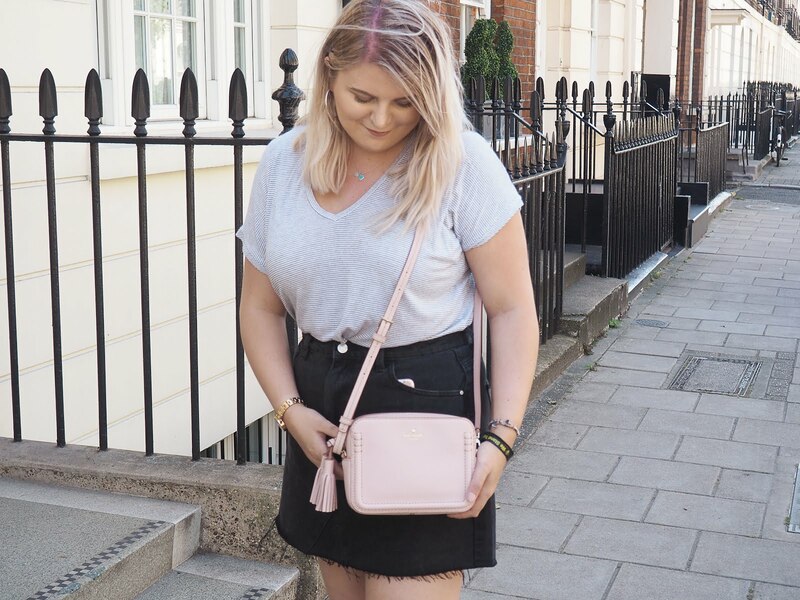 But here I am today, sharing with you all my skincare saviours because I have finally nailed my skincare routine... It only took 21 years. Only in the last couple of years did I begin to understand how important taking care of your skin is... I know, gross right? Soz. It took a lot of trial and error but I've cracked it, I have found the products I can no longer live without and must use on a daily basis. Finding a gentle cleanser for my sensitive skin seemed like an almost impossible task. Make up wipes are a definite no no, micellar water just hurts my eyes and I refused to keep forking out the money for the Cleanse & Polish. After a lot of Googling and blog reading, I headed straight to Lush for my skincare. Lord knows why I didn't think of Lush sooner, I've tried 80% of their facemask range but evidently the rest of their skincare slipped my mind. It was then, that I fell in love with the Ultrabland cleanser. Although I'm not keen on the scent, at all, which I presume is down to the beeswax and rose water that the cleanser is made with, it does a hella good job at getting everything off your face. It leaves my skin feeling amazingly soft and glowy, exactly what I need during Summer. As I usually use a facemask to exfoliate my skin every couple of days, I'll save that for another post I have lined up and skip straight onto the things I like to use to wash my face. First up, we have the Soap & Glory Clarity Face Soap. This has been a cult favourite of mine since I was around the age of 16, back when I had no clue what any of these products did. Nevertheless, it's the one face wash that I have always gone back to... Kinda like when you swear you're gonna resist the last slice of pizza, but know full well nobody else is getting it. Back to the point, this face wash has an extremely thick, gel-like consistency but it feels so lovely on the skin and apparently contains skin brightening properties. Win, win. I finally caved, I bought the Pixi Glow Tonic. I'm a sucker for a product that bloggers rave about and just had to try it for myself. I'll more than likely put up a more in depth review of the Glow Tonic as part of my 'Worth The Hype?' series but honestly, this stuff has changed my outlook on toners forever... As lame as that sounds lol. Due to this product containing 5% Glycolic acid, it works as an exfoliating toner and boy, has it brightened up my skin. It works a darn treat and despite it being a little pricey, is absolutely worth every penny. As Winter ended, my skin was a mess, and that's putting it politely. I had no idea what moisturisers I should be using to get rid of my horrible dry patches and it was driving me insane. The Body Shop's Tea Tree collection has always been a must have, which I actually discussed further in this post. One product that specifically stands out for me from that range is the Skin Clearing Lotion - it is uhh-mazing, and apparently has been discontinued. Well, I'm not happy about that! I tend to apply this during my night time routine once my face is clean and dry, so that it can soak in overnight. Although it can be worn under make up, I'm just not sure you would see much difference. Last but not least, let's everyone just take a minute before I gush about how life changing this product is. 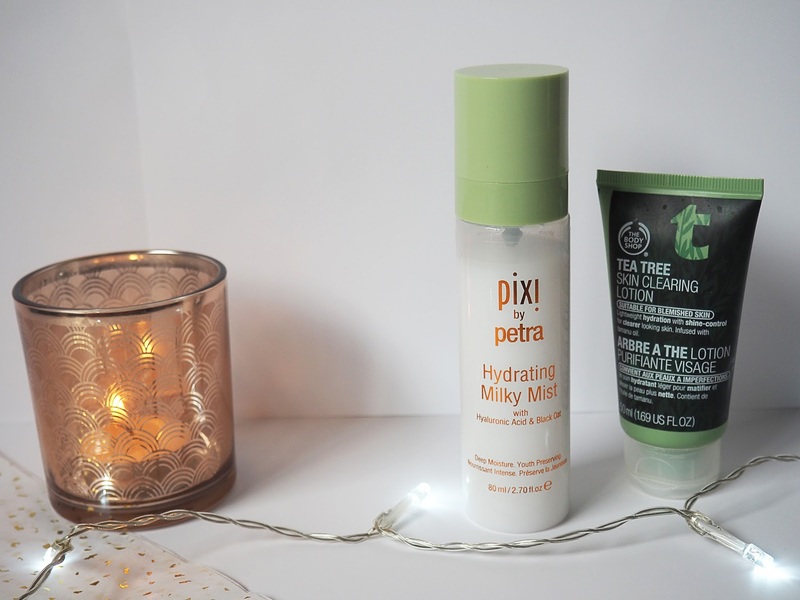 The Pixi Hydrating Milky Mist is hands down the best moisturiser I have ever used - there, I said it. Once I have spritzed this on my face, I don't even feel the need to go in with a cream moisturiser which is brilliant, because I bloody hate face creams. The Milky Mist soaks into the skin within a matter of seconds and leaves it feeling hydrated all day long. Essentially, it does what it says on the tin bottle. Go buy it now, just do it. Do you have any tips or products for keeping your skin happy and healthy? Yeah something about the scent is just... Off haha! Ooh I haven't tried the Body Shop one, I'll definitely look into it. I've had the pixi glow for a few weeks and that mist is on my list! I need to try more skincare products from Lush! I've heard so much about Pixi and still yet to try! 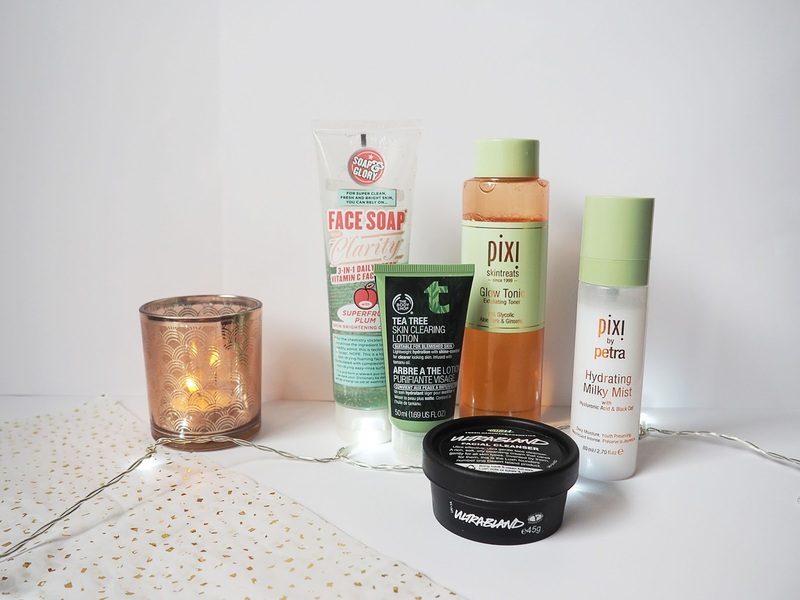 I´ve wanted to try the Pixi skincare products for a while now (mostly because of all the blogger hype) but I haven´t caved in yet. Mostly because I feel like I´ve finally nailed my skincare too. But there´s always room for improvement, isn´t there? The Hydrating Milky Mist sounds like heaven to me! 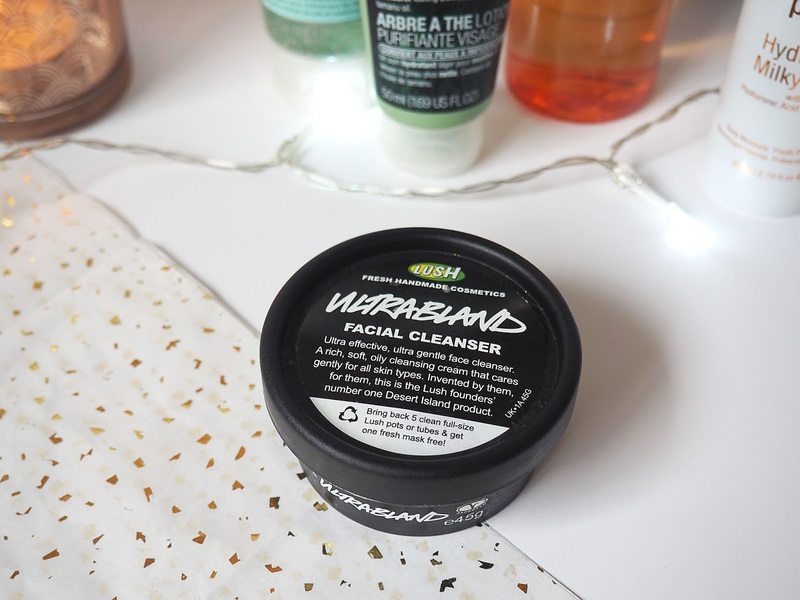 I really want to try the Lush Ultrabland cleanser it looks amazing! 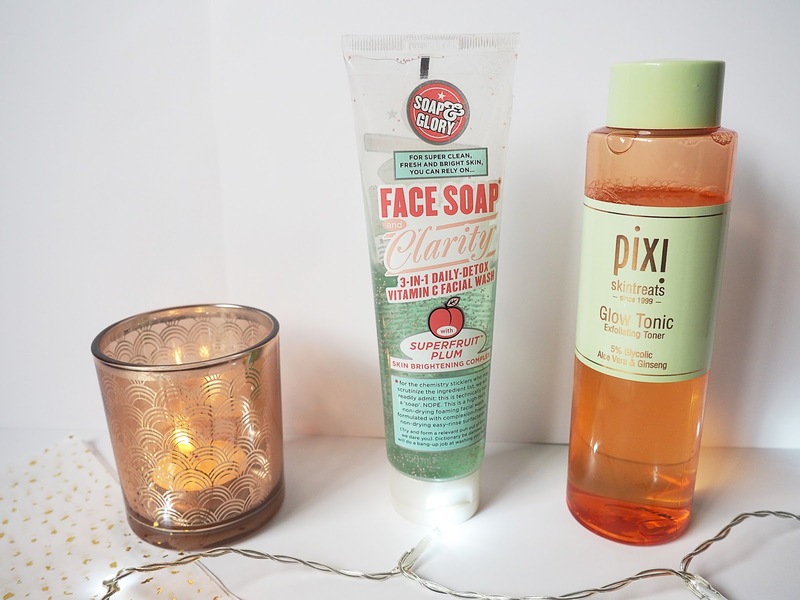 Also I love the Pixi Glow Tonic it's so good and makes my skin feel great! I am for sticking to one brand for skin care, I'll have cleanser, toner everything with one brand. I feel I need to branch out! I've heard good things about Pixi range, need to keep my eye out for that one! I really need to sort my skincare out... Definitely gonna keep these in mind! My skin has been awful lately.